Southern as Biscuits: Get The Avett Brothers' Emotionalism for a Steal! Get The Avett Brothers' Emotionalism for a Steal! 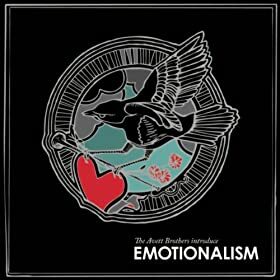 Unfortunately, I paid full price, but you can be luckier than me and get boatloads of "Shame" and more on the handsome Avett Brothers "Emotionalism" MP3 album for only $3.99 right now at Amazon. Just click HERE and then let the swooning commence!